IIIT-Hyderabad has received the Alexa Graduate Fellowship for 2018-2019, making it the first Indian university among a list of 18 universities worldwide to receive this fellowship. The Alexa Fellowship supports advanced conversational AI research by providing funding and mentorship to PhD and post-doctoral students. These students, under their faculty advisor’s leadership and with additional guidance from their Alexa AI mentor, will push the boundaries of the capabilities of spoken language systems. Prof. C V Jawahar, who has been chosen as the Faculty Advisor, along with Alexa Graduate Fellow Praveen Krishnan, a senior graduate student of IIIT-H, will teach conversational AI to undergraduate and graduate students using the Alexa Skills Kit (ASK) and Alexa Voice Services (AVS). Students will be introduced to the science behind voice technology via hands-on projects and labs. IIIT-Hyderabad is the only Indian institute to receive Fellowship based on a number of criteria including its research interests, planned coursework and existing conversational AI curriculum. 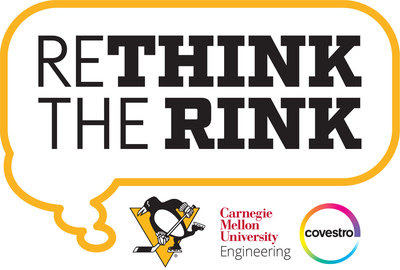 The other universities include Carnegie Mellon University, Johns Hopkins University, MIT App Inventor, University of Cambridge, University of Sheffield, University of Southern California, University of Texas at Austin, University of Washington, and University of Waterloo. Boeing [NYSE: BA] today announced a $5 million investment in Newton Europe to launch Science, Technology, Engineering and Math (STEM)-focused “Newton Rooms” across nine European countries. Pioneered by non-profit organization FIRST Scandinavia, Newton Rooms are themed, state-of-the-art classrooms focused on experiential learning. Boeing’s multi-year investment will establish Newton Rooms in the United Kingdom, Germany, Netherlands, France, Italy, Spain, Belgium, Poland and Sweden. Boeing Newton Flight Academy: A permanent classroom used to teach students aviation-related STEM concepts, reinforced with full-motion flight simulators manufactured in Spain. Boeing Newton Rooms: A themed, state-of-the-art permanent classroom focused on experiential learning. Potential themes include space, biofuels and advanced materials and manufacturing. Boeing Pop-Up Newton Rooms: A portable package of flight simulator panels and classroom materials used to create a temporary Newton Room in virtually any suitable existing space. Since 2013, Boeing has helped establish these three Newton concepts, with one of each in Denmark, Norway and the Netherlands. Non-profit organization FIRST Scandinavia successfully operates an additional 40 Newton Rooms in Norway. Boeing’s investment will also fund a comprehensive suite of learning resources and materials, enabling teachers to incorporate the Newton experience into their core educational curriculum. All materials are free for both teachers and students. “NASA strongly supports the White House’s continued bold direction in forging a sustainable and focused space policy that strengthens American leadership. It was my honor today to represent the agency at the National Space Council, where the President announced Space Policy Directive-3 – which will guide critical and much-needed progress for space traffic management. “SPD-3 builds on our continued progress implementing SPD-1, which is galvanizing American space leadership by returning to the Moon with commercial and international partners, and SPD-2, which will create regulatory certainty for entrepreneurs to raise capital to grow the American economy in space. “As we continue to thrive in space, we also have more people launching to orbit, and an increasingly complex universe of satellites overhead. SPD-3 provides guidelines and initiatives to ensure that America is a leader in providing a safe and secure environment as space traffic increases. Common sense space situational awareness and traffic management will be good for our economy and will help provide a more stable environment for the burgeoning space economy. Marc Mataya, Charlotte resident and serial inventor, created the Leaf Burrito®, a reusable yard waste removal bag, which is designed to help eliminate detrimental single-purpose plastic bags. Currently in use in Charlotte, the Leaf Burrito® won the 2017 Sustain Charlotte Award in the Waste Reduction category. “Leaf Burrito won the Sustain Charlotte Award for a reason. Great product, easy to use, making where we live a better place for us and generations after us. It is a cutting edge leader in the Sustainability arena,” stated Shannon Binns, executive director of Sustain Charlotte. Crowdfunding will allow Leaf Burrito® to increase production and reduce the cost of the product with larger production runs. Leaf Burrito® works to educate customers and cities about the impact of single-use plastic on the environment and their communities. Leaf Burrito® will donate 5% of all funds raised, as well as 5% of future revenues, to support local Greenway development organizations. On Earth Day 2018, the Earth Day Network shared these facts about worldwide plastic contamination. 8.3 billion metric tons of plastic have been produced since plastic was introduced in the 1950s.The amount of plastic produced in a year is roughly the same as the entire weight of humanity. Virtually every piece of plastic ever made still exists in some shape or form (with the exception of the small amount that has been incinerated). 91% of plastic waste isn’t recycled. Most plastics don’t biodegrade in any meaningful sense, it could exist for hundreds or even thousands of years.100 billion plastic bags are used by Americans every year. Tied together, they would reach around the Earth’s equator 773 times. 8 million metric tons of plastic winds up in our oceans each year. Indonesian research scientist Irwandi Jaswir has been named the winner of this year’s King Faisal Prize for Service to Islam in recognition of his outstanding research work in the field of ‘Halal Science’. 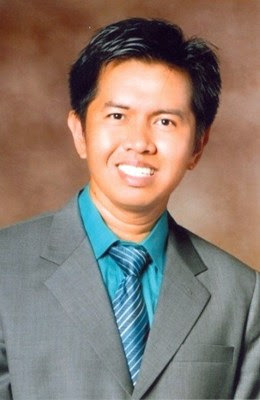 Professor Jaswir is currently the Deputy Dean of the International Institute for Halal Research and Training (INHART) and Secretary of Council of Professors at the International Islamic University Malaysia (IIUM). He has published over 120 peer reviewed articles in scientific journals and more than 30 research studies on the topic of Halal Science. He is credited with the major findings related to identification and verification of porcine DNA in commercial gelatin and gelatin containing processed foods. His research work has contributed to the development of the ‘Portable Electronic Nose’ for Halal authentication in beverages, and production of fish gelatin nanoparticles for drug release in medical applications. A member of the editorial board of many reputable scientific journals, Professor Jaswir’s work has also won over 60 other awards and honours, including the 2013 HABIBIE award and the Islamic Product Innovation Award in 2016. The King Faisal Prize recognizes outstanding works of individuals and institutions in the areas of thought and science. The previous winners of the Prize include heads of states and national leaders as well as researchers and scientists. Last year, the Service to Islam Prize was awarded to the Custodian of the Two Holy Mosques King Salman bin Abdulaziz of Saudi Arabia. a philanthropic organization founded in 1976G / 1396H by the sons and daughters of the late King Faisal bin Abdulaziz, as a tribute to their father. The Prize was granted for the first time in 1979G/1399H in three categories: Service to Islam, Islamic Studies and Arabic Language and Literature. In 1981G/1401H, a prize in Medicine and a prize in Science were added. The Medicine prize was awarded the following year, in 1982G/1402H, whereas the Science prize was awarded in 1984G/1404H. 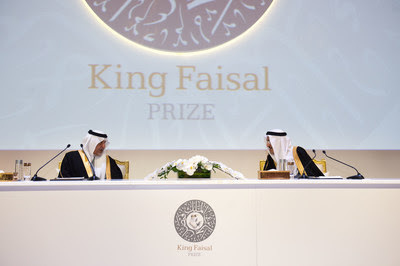 The main objectives of King Faisal Prize are to recognize distinguished initiatives that instill Islamic values in the society and contribute to the development of Muslim communities as well as the overall progress of mankind. A Kettering Physician Network neurosurgeon performed a surgery that no other surgeon in the world has ever done—and he literally gave the patient from Middletown, Ohio a new look on life. The patient had a severe neck deformity which caused his head to lean to the point where his ear was touching his shoulder. The man had not been able to look up, work or drive for several years. His head and neck were in constant pain. “It was embarrassing to walk around staring at the ground and not be able to look people in the eyes,” the patient recalls. He had sought help from surgeons throughout the country and no one was able to help him. A physician in southwest Ohio heard of Kamal Woods, MD, medical director of Kettering Health Network’s Brain and Spine Center located on the campus of Kettering Medical Center in Kettering, Ohio, and recommended that the patient see him. The patient says Dr. Woods’ confidence was very comforting. “Dr. Woods said he could help me, he wasn’t sure how at first but it was obvious that he was going to find a way,” the patient explains. Dr. Woods decided to perform the surgery in three stages. During the surgery, Dr. Woods intentionally broke the patient’s neck in four places to straighten his spine. The patient’s condition improved immensely following this one-of-a-kind procedure. The patient says before the procedure, he couldn’t do things like attend a baseball game, see a movie or eat at a restaurant. “I have a new lease on life,” he says. Kettering Health Network’s Brain and Spine Center has a team of physicians, surgeons and technicians, each with a unique set of skills, who can diagnose and treat diseases and disorders of the brain and spine—including hard-to-treat cases. The center offers the Dayton region and all southwestern Ohio the most advanced diagnostic, surgical and therapeutic neuroscience care. For dial-in information, media must send their names, affiliations and phone numbers to Felicia Chouat felicia.chou@nasa.gov no later than noon Dec. 14. Questions can be submitted on Twitter during the teleconference using the hashtag #askNASA.